: Air Canada Sommelier Veronique Rivest said too many wine critics have scared away consumers with fancy language. GATINEAU, QUEBEC - Veronique Rivest is one of the world’s top sommeliers. She could easily be snobbish about it and gush forth about wiines that taste of South African rose petals grown on the west side of Table Mountain or the superb terroir of a particular vineyard in Burgundy. Instead, Rivest, a Quebec-born wine expert who serves as Air Canada’s sommelier, is fresh and fun and engaging and utterly down-to-earth. She almost certainly knows all those fancy wine terms that can drive average consumers crazy, but she doesn’t seem to like them much. 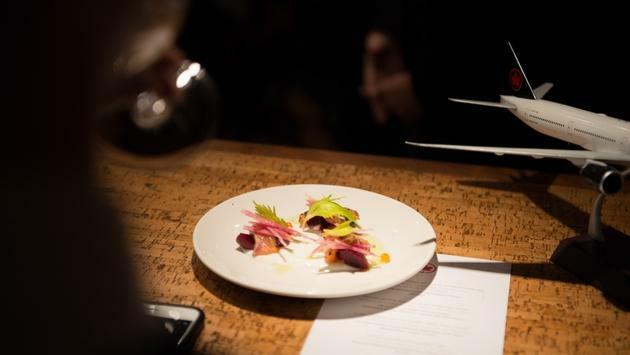 “Sometimes I listen to myself and other wine professionals and I’m like ‘What in the hell are you saying, is anyone getting this,’” she told journalists on a wine and food journey at her Soif Wine Bar in Gatineau last Thursday, just across the river from Ottawa. It’s a beautiful, lively place that serves excellent food and surprising wines from around the globe. “I dislike the fact that we’re pushing people away with these kinds of (comments),” the bubbly (pardon the pun) Rivest tells us. “When I look at people listening (to some sommeliers) and see that lost look on their face and worse, because the impression is that they feel dumb. Which is the worst thing ever. Because it’s not an exact science. Nobody is right or wrong in this. Air Canada is aiming to crack the top ten of world airlines, says Andrew McFarlane, Airport Product Design Manager. Our taste buds do change when we fly at 30,000 feet. But Rivest doesn’t think it’s as big a difference as some wine experts suggest. To her, the way a wine tastes has more to do with where you and who you are with than anything else. A lovely beet salad at Soif Wine Bar in Gatineau, Quebec. The restaurant is owned by Veronique Rivest, Air Canada's sommelier. 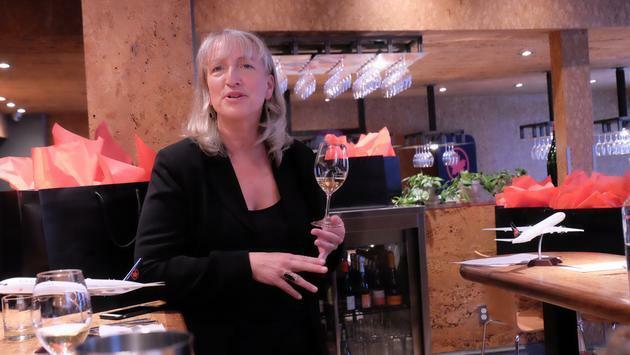 Rivest explained that the wines she chooses for Air Canada’s business class on both domestic and international routes (they’re changed roughly every three months) are all about bottles that have a sense of place and wines with balance. Meals in Air Canada’s Signature Service and at their Signature Suite (there’s one in Toronto and another coming in Vancouver) were created by renowned Canadian chef David Hawksworth. Rivest said she made a point of trying his food so she could find out what wines worked best. 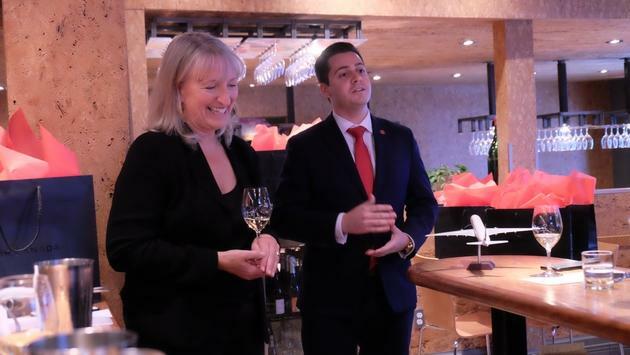 Air Canada’s Andrew McFarlane, Airport Product Design Manager, told TravelPulse Canada that having a great wine program is part of the airline’s goal of cracking the top 10 airlines in the world. Air Canada has been rated best in North America by Skytrax in seven of the last nine years, but McFarlane said the airline came 30th in the world overall last year. That’s still pretty impressive when you consider there are something like 200 airlines on the planet, but McFarlane said Air Canada is aiming high. 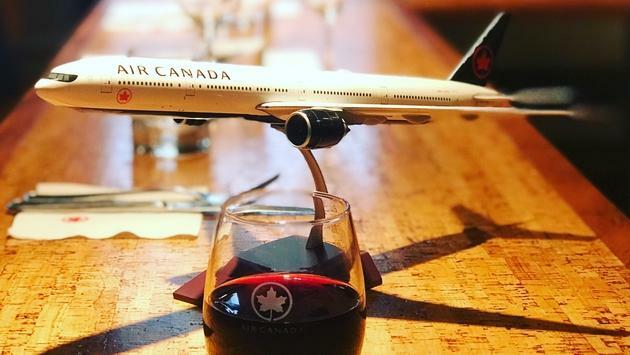 Air Canada is hoping its on-board wine program will help lift it a higher global airline rating. Last year’s launch of the Signature Suite and the company’s Signature Service in the air were “strong signals that we’re moving towards that top-ten goal,” he said. “It was a massive enhancement for us. We also made lounge upgrades, improved our security lanes and check-in aisles and made other enhancements. Asked what areas need improving, McFarlane said the airline wants to focus more on economy passengers. “There’s been a major focus on high-value customers and business,” he said, but economy class is an area where they could certainly make some changes. That also goes for Air Canada rouge, he said. Last Thursday’s event featured remarkable pairings of wine and food at Soif, which means “Thirst” in French. Among the great dishes were grilled endive with porcini butter, apple and blue cheese, which was paired with a wonderful Fume Blanc Rosomel Vineyard Beamsville Bench 2016, Hidden Bench, from Ontario. Another great pairing was a mushroom ragout with duck gizzards, bacon, chicken liver mousse, sorghum and red currants, served with a Conca de Barbara El Mentider 2016 Succes Vinicola from Spain, a luscious but not overpowering red. Readers Choice Award Voting Now LIVE!